The mandate of the Sustainability Projects Fund (SPF) Governance Council (GC) is to independently ensure the optimal achievement of the SPF mandate. The SPF GC members do so by deliberating constructively based on the SPF Evaluation Criteria and by taking consensus-based decisions on 1) the funding of prospective and ongoing SPF projects as well as on 2) the Governance & Administration (G&A) of the SPF. Decisions and feedback of the GC are provided to prospective and ongoing SPF project teams through official Feedback Letters. Expressing the collaboration between students and the administration under the SPF, the GC is a parity committee of four students and four staff members. The GC members are selected through a comprehensive process and based on their level of engagement within McGill University, their understanding of sustainability as a whole and within the McGill community, the complementarity of their expertise in relation to the other GC members, and their commitment to respecting the SPF GC Terms of Reference. The GC members usually meet once a month. The GC is chaired by the Director of the McGill Office of Sustainability (MOOS), who serves as a non-voting facilitator. The SPF Steward oversees the GC, co-facilitates the GC meetings as a non-voting member, and acts as a liaison with project teams. Please do not hesitate to contact the krista.houser [at] mcgill.ca (SPF Steward) for any questions about the SPF GC. I teach courses related to economics of the environment and human well-being in McGill's School of Environment and the Department of Economics. I am interested in the empirical assessment of human well-being, measured using people's own satisfaction with their lives, and in its economic, social, environmental, or other determinants. I am also investigating the way cities are laying down new infrastructure as they arise or expand, in particular with regards to the very long-term environmental implications of choices about urban road networks. I am also working on other environmental economics topics, including household energy transition from coal in China, carbon pricing, and renewable energy. I see small and non-incremental changes towards sustainability coming from a reorientation towards living better lives at the same time as we agree to enforce new conservation-oriented limits on our activities. The SPF addresses this broad mandate by taking into account the improvement of social and human outcomes on McGill campuses. It also represents community-led change which not only has intrinsic characteristics of sustainability, but tends to produce extra benefits for well-being. I am a Faculty Lecturer in the Department of Plant Science and Director of Internship (FMT). In 2012, I received the McGill Office of Sustainability Award for Staff Contribution to Sustainability. My main interest is in ecological agriculture and in food security on the island of Montreal. I mentor two highly successful Macdonald campus clubs; the Macdonald Student-Run Ecological Garden (MSEG), and the Farm-to-School Program. Both student groups have received the McGill Office for Sustainability Catalyst Award (2012 and 2014). I am president of the Marché Ste Anne, a growing farmers market located in Ste-Anne-de-Bellevue. As well, I serve on the Board of Corbeille de Pain, a food security organization in the West Island and on the board of École-O-Champ, a science and agriculture educational non-profit for children of all ages. I have a strong interest in supporting student groups in their development of sustainability initiatives. I have been on approximately 15 successful student led applications to the Sustainability Project Fund. I believe that a sustainable approach to living is at the heart of our future society. Student led projects in sustainability help students develop skills in science, adaptability, communication and management that will aid them in their future careers. Since I was in elementary school I always had a passion for sustainability and the environment, starting with projects as little as creating signs reminding my teachers to turn off their lights when leaving the classroom. From there I pursued my passion through academia by doing my undergrad in Environmental Science focusing on Chemistry and toxic atmospheric pollutants. I am now in the second year of my Masters working with the Department of Natural Resource Sciences on a project looking to calculate and maximize the current rate of carbon capture on McGill's natural forests. 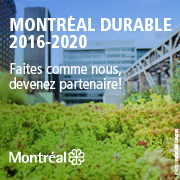 This project works directly with McGill's Climate and Sustainability Action Plan to reach carbon neutrality by 2040. In addition, I am also the Environment Commissioner for the PGSS; therefore, my job is to address some of the outstanding environmental concerns within the campus and make sure that all PGSS clubs and societies address environmental issues in their mandates. I look forward to learning about all the creative and innovative ways students implement sustainability on campus and within the community! I am the Community Partnerships Associate in McGill's Social Equity and Diversity Education (SEDE) Office where my role is to increase the quantity and quality of engagement between McGill University (students, staff and faculty) and the Montreal community. After over a decade working in the community sector (at the YMCA and Head in Hands, among other organizations), I apply my understanding of the mutualistic relationship that can be established among volunteers, community organizations and their participants to build enriching and empowering engagement opportunities for the McGill community. I am an undergraduate pursuing a B.A in Honours International Development Studies, with a Minor in Economics. I am studying at McGill as a 2015 Loran Scholar. I am most interested in how humanity can change our current practices to be more environmentally sustainable in all sectors and industries. I am particularly interested in the role of entrepreneurship in this shift, and how private business can shift towards sustainable and equitable practices while being competitive to existing companies. At McGill, I co-founded MealCare, an organization that diverts surplus food from vendors across McGill to local homeless shelters and food banks through a sustainable operational and financial model. I know first hand that students, staff and community members can contribute to increasing sustainability of McGill, and the SPF provides an incredible opportunity for aspiring change-makers to make their vision a reality. For this reason, I am proud to be on the SPF Governance Council and be able to support the sustainability efforts of the McGill community. Please reach out if you have any questions or want to talk sustainability! Hi! I have worked at McGill’s Office of Campus & Space Planning since May 2010, offering me significant exposure to MOOS and the projects that drive their mandate. Before working at McGill, I studied urban planning due to a broad interest regarding the influence that our environment has on our lifestyle and our quality of life. While my expertise related to sustainability has a strong focus on policy development and physical infrastructure (especially that which is related to cycling and public space), I believe I have a strong understanding of sustainability and the multiple facets that ultimately contribute towards a sustainable community. I think that the SPF is a critical tool to assist in the move towards sustainability, not just in the realization of projects but also in the creation of a strong and embedded community dedicated to a shared goal. I am honored to participate in this Working Group and play an engaged role in furthering the University’s commitments towards a sustainable community. Entering my final year at the Faculty of Management, I am completing an Honours in Economics with a minor in Environment. My interests lay at the intersection of business, economics and sustainability objectives, especially concerning how economies can grow in an equitable and sustainable way. My experience as the Sustainability Projects Fund Intern for over a year has allowed me to understand the SPF and its objectives, with particular attention to its ability to provide students with agency to take direct action and address the issues they care about in their community. Being involved in several other sustainability-related campus organizations, I often engage with students with diverse backgrounds but a shared desire to enact change; it is truly inspiring to see so many young people (and faculty and staff!) willing to dedicate precious university-student time towards creating and implementing an SPF project. For these reasons, I am delighted to represent the student population on the Working Group and support students’ efforts towards creating a more sustainable campus. Hello, I am pleased to say that I am the Mac Campus Student Society’s interim SPF Council representative while the current Environmental Advisor is on her field study semester. A little about me: I am a U1 Global Food Security student and one of two MCSS Members-at-Large, meaning I act as a liaison between council and students, support the executive body and am able to vote in meetings. Sustainability, to me, is Longevity, which is why I am excited to be part of this Governing Council. I am looking forward to seeing successful applicants leave a legacy at McGill, propelling our school toward a future the world needs.